This item is currently out of stock. We expect to be able to supply it to you within 2 - 4 weeks from when you place your order. 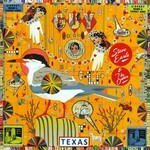 Steve Earle was nineteen and had just hitchhiked from San Antonio to Nashville in 1974. Back then if you wanted to be where the best songwriters were you had to be in there. Guy Clark had moved to Nashville and if you were from Texas, Guy Clark was king. A few years later, Steve would be playing bass guitar in Guy's band and flying high on what would become an indelible friendship of like-minded musicians who bonded in a kinship of stories told through song. Earle and his current, perhaps best-ever Dukes lineup take on these songs with a spirit of reverent glee and invention.